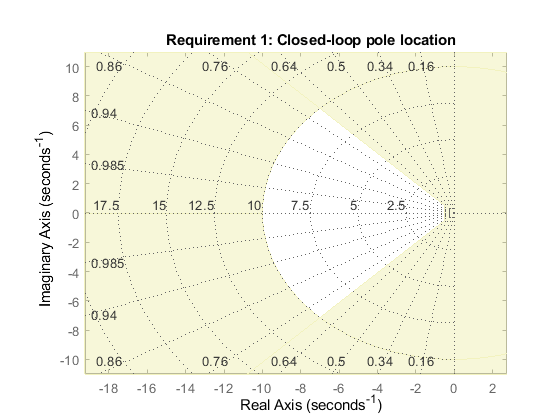 This example shows how to constrain the poles of a control system tuned with systune or looptune. constrains the closed-loop poles to lie in the white region below. Increasing the MinDecay value results in faster transients. 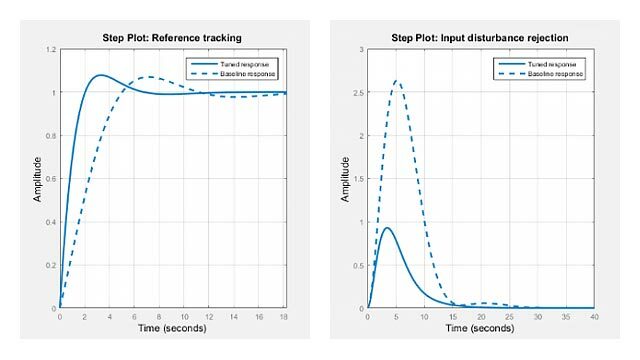 Increasing the MinDamping value results in better damped transients. Decreasing the MaxFrequency value prevents fast dynamics.